Hi All, since boxing day 2017 I was using the Bell BYOD $60 for 10GB Plan, but they increased the price by $5 with out giving any notice whatsoever. 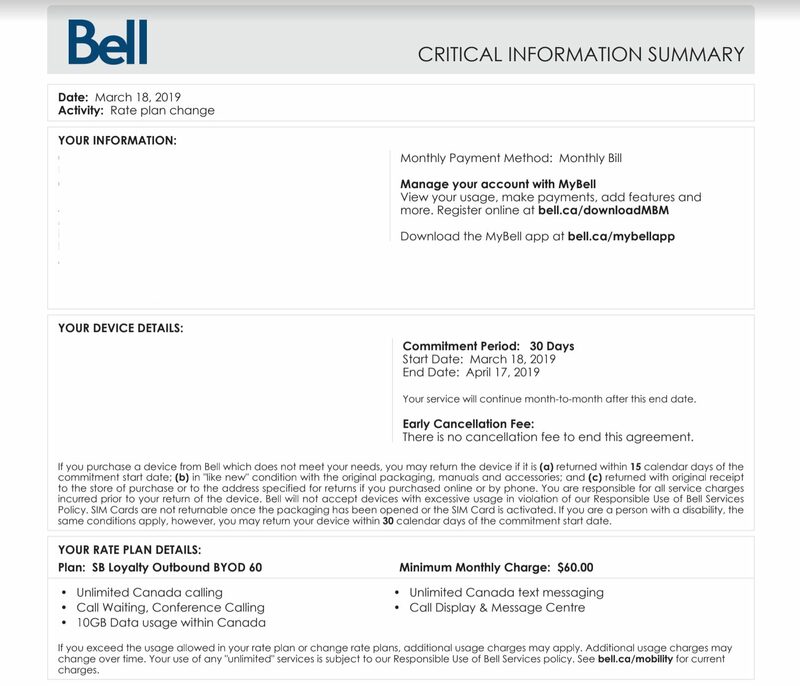 On Friday 15th I called Bell to complain about the lack of 30 days notice before jacking the BYOD 60 for 10GB plan up by $5, and to see what I could get out of them since Telus customers were getting 5 more GB. They wouldn't budge and was only willing to give me $5 off for the next billing cycle. They told me if I wanted more data, I'd have to open up a 2nd line with them or buy a new phone from them. So I cancelled my plan immediately and jumped on one of the Freedom Mobile plans. $55 for 5GB or $60 for 10GB. So I was able to get the the old $60 for 10GB plan back (Don't know how long it's going to last this time). Not sure if it requires you to have cancelled your phone plan with Bell in order to get this deal, but worth calling to ask anyway. You kept your number I assume? I'm with Telus, do you think I can switch for $55 for 5 gigs? Just called and they gave another number to call. Is this a shared plan? Last edited by NavieM on Mar 20th, 2019 2:32 am, edited 1 time in total. Are you also the type to run back to an abusive ex? called Bell, they basically wanted to do nothing. Threatened to leave, they said go. A company that relies only on deceit and testing how much they can get away with doesn't deserve anyone's business. I wouldn’t ever want anything to do with Bell, and this is from a previous employees perspective. Has anyone tried filing a CCTS complaint to see what comes of it? FM has 8 Gigs for $50/month first year. Is this thread relevant because it’s Bell?